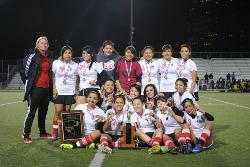 Coach Bennett has led our Lady Mustangs to an historic achievement: the first championship by one of our girl's teams. 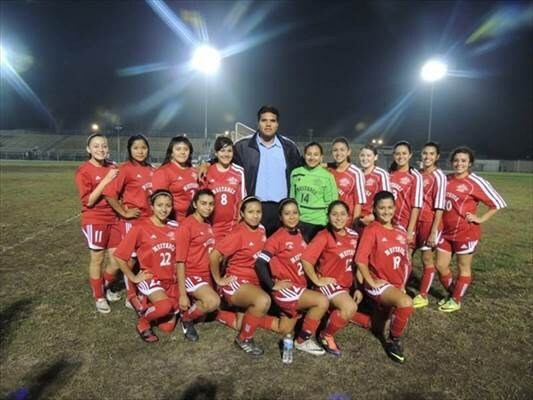 Yes, Arleta High outplayed Manuel Arts winning the Girls Invitational Championship by a score of 3-nil. It was a chilly night but our girls sizzled on the field. Their defense was stifling. Manuel Arts never mounted a sustained attack all game. The few forays they had, our Mustangs repelled and turned into a counter attack. The girls teamwork, passing, and attacking play dominated the game. Their picture-perfect play resulted in a convincing win. Congratulations to Coach Bennett and our Lady Mustangs soccer team. It has been a memorable season.